David Reynolds has described the lap which saw him claim pole in the Armor All Top 10 Shootout as a ‘controlled explosion’. 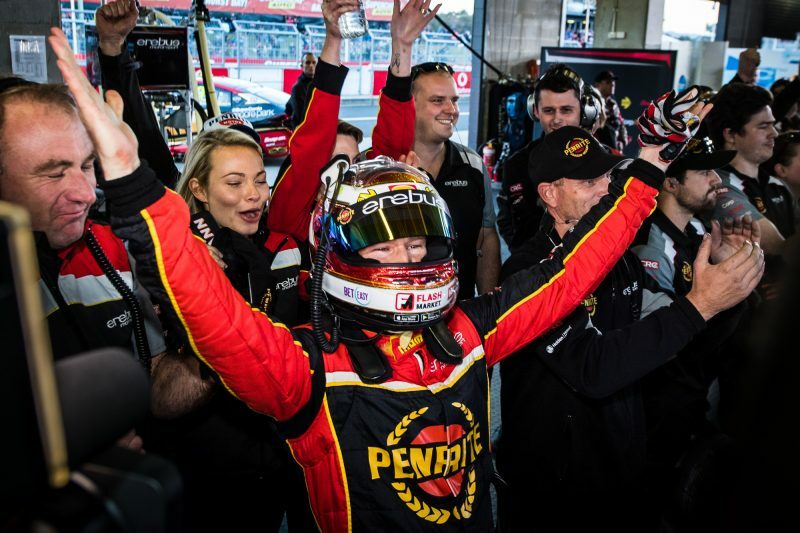 Reynolds recorded a 2:04.0589s, the second fastest lap ever recorded by a Supercar around Mount Panorama, to lead a one-three for Erebus with team-mate Anton De Pasquale third. It followed qualifying on Friday afternoon which saw the 2017 Supercheap Auto Bathurst 1000 race winner log the second fastest time with a 2:04.2648s to book his place in the Shootout. “It was controlled kamikaze, controlled explosion,” Reynolds said of his pole winning lap. While the best lap he was capable of, Reynolds suggests it was still riddled with mistakes. “I had a bit of front lock in the Cutting, lost a bit across the top, down into the Dipper had a bit of front lock, front lock at the Elbow, bit of rear lock at the Chase, otherwise I was pretty happy,” he explained. The two-time race winner in 2018 admitted he was anxious heading into the session, having lost sleep overnight in anticipation of his lap. The pressure then only increased when team-mate De Pasquale recorded a 2:04.3498s, a time that remained fastest until Reynolds’ run. “I’ve been putting pressure on myself all day,” Reynolds admitted. “I woke up this morning at like four o’clock doing laps in my head, stressing out. I had anxiety, everything. “(I) watched Anton do his lap, he did a 4.3, I’m like ‘I don’t know if I can actually beat that’. That’s bloody fast. “Then got in my car, pulled me socks up before I got in, tightened me belts, jumped in the car, and just let it happen. 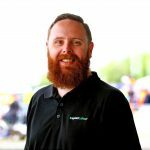 “Our cars have been phenomenal since we rocked out of the truck. It’s a credit to the team. We stuck by our plan. Tomorrow’s 161 lap Bathurst 1000 begins at 1110 AEDT on Sunday, following a 20-minute Warm Up session at 0805.